The spacecraft’s thrusters ignited early Thursday to raise the farthest point of TESS’s orbit around Earth closer to the moon. 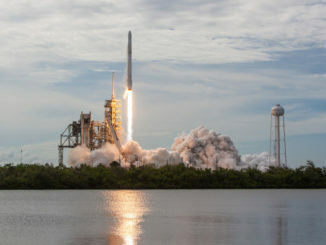 The maneuver was timed as TESS reached its first perigee — the low point of its elongated orbit — since launching April 18 from Cape Canaveral aboard a SpaceX Falcon 9 rocket. The Falcon 9 launcher deposited TESS into an elliptical orbit stretching around 170,000 miles (270,000 kilometers) from Earth. TESS briefly fired its thrusters Saturday as it reached the farthest point, or apogee, of its initial orbit to raise its perigee from around 150 miles (250 kilometers) to around 1,400 miles (2,250 kilometers). The next maneuver accomplished early Wednesday positioned TESS’s apogee at approximately 220,000 miles (354,000 kilometers), more than 90 percent of the distance of the moon’s orbit, according to tracking data published by the U.S. military. Wednesday’s thruster firing was the second of six maneuvers planned to send TESS into its final operational orbit. Another burn next week will be timed to occur as TESS reaches its new apogee, followed by two additional perigee maneuvers that will fine-tune the satellite’s trajectory and set up for a flyby of the moon May 17. 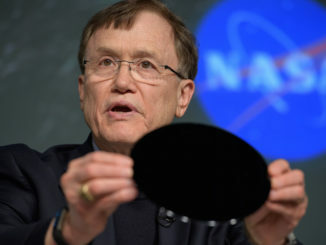 The lunar flyby next month — targeting a distance of around 5,000 miles (8,000 kilometers) from the moon — will loop TESS into an orbit that takes it well beyond lunar distance, and a final major thruster firing will reduce the satellite’s apogee altitude in June. 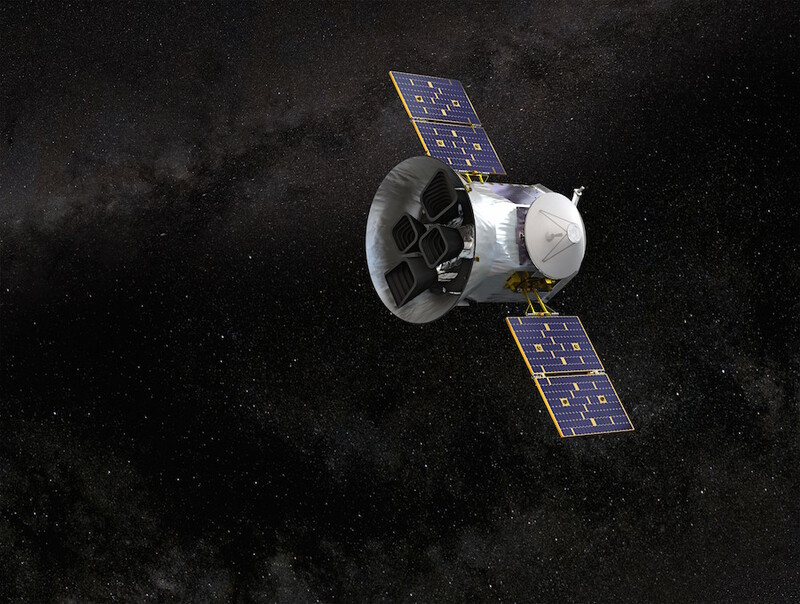 By June 17, TESS will be in its final science orbit and ready to begin the planet hunt. 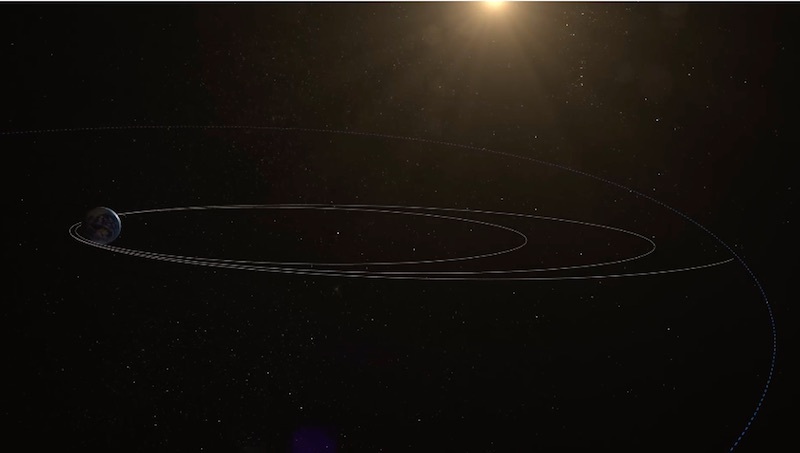 TESS will end up in an orbit resonant with the moon’s, ranging between 67,000 miles (108,000 kilometers) and 233,000 miles (376,000 kilometers) from Earth. In that orbit, TESS will make one lap around Earth every 13.7 days, about half the time it takes the moon to circle the Earth. Since the launch April 18, ground controllers at Orbital ATK in Dulles, Virginia, which built the spacecraft, have switched on key components on the satellite, including reaction wheels and star trackers used to keep TESS properly pointed in space. On Wednesday, engineers sent commands to turn on the satellite’s Ka-band transmitter, which routes signals through a high-gain antenna needed to beam full-frame images back to Earth from TESS’s four 16.8-megapixel science cameras. Controllers planned to begin activating the cameras as soon as Thursday, beginning several weeks of calibrations and checkouts to make sure the MIT-built imagers are ready science observations. 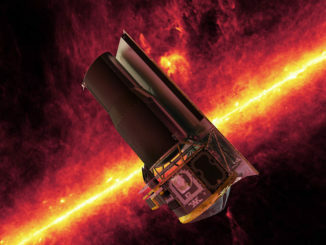 Each of the four cameras are fitted with four red-sensitive CCD detectors, designed to detect planets transiting in front of their host stars. The cameras will search for brief dips in starlight to find the planets, and sophisticated software algorithms will allow astronomers to scan wide swaths of the sky once full-frame images are downlinked to Earth. During TESS’s two-year, $337 million mission, the MIT-built cameras will survey more than 85 percent of the sky, looking at approximately 200,000 pre-selected bright, nearby stars, including the 6,000 or so stars that are visible to the naked eye in the night sky. Read our earlier story for details on the mission.